Lets concentrate on cannel art, It is equally important to set up both the channel icon and the banner so that your subscribers can get an idea as to what your channel is actually about. As is common amongst human beings, people make impressions of you even before communicating. While in real life, your face and personality are judged, in virtual space and in YouTube, specifically, it is the channel art and how you have set up your channel that makes or breaks the visitor numbers. So before picking up your vlog camera lets take your artwork seriously. In the following screenshot, there are two places where you can add images to add a personal touch to your channel. Lots of YouTubers go the non-traditional way and upload an image that is funky or about something related to their videos. Most users have their own logos, and as part of their branding, they upload it as their icon, as well as add it in their channel art. If you have any friends who are into designing, then now is the time to ask for a favor in return for that party you threw on the final day of your last semester. While there is no specific size for the icon, and YouTube does resize your file in the end, 800×800 pixels is the benchmark to go ahead with. You don’t want your visitors staring at a pixelated photo of yours. Same goes with the channel art. A channel art is a banner that welcomes your existing subscribers or potential subscribers to your channel. It is your chance to make that new visitor stay in your channel and explore your creations. You are sure new visitors will be interested in your stuff, then why not hook them right at the entrance? What does that even mean… Since most people use their mobile nowadays to watch youtube you should ensure that the important information is seen by the smartphone users. 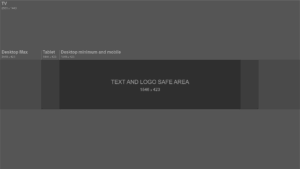 See the below illistration – ensure your important youtube identity info fits into the ‘Text and Logo safe are’. If you are like me, don’t just trust the numbers, upload your banner and take a look yourself, keep resizing and re-uploading until you are happy with it. It will become your recognisable logo so make sure you get it right. I advise Canva for editing, they are super easy to use, free to customise your pics and there’s no adverts all over the place getting in your way, I personally love using canva. (no affiliate just a great product) recognise the image below? While Nigahiga goes with a traditional self-portrait for the icon, look at his banner. A simple artwork with the logo mentioning his real name. Take Smosh’s case and you know they are born marketers. They have this new film coming up and they have conveniently used the channel art area to promote it. And the icon? Their logo. Perfect. YouTubers interested in anime and video games can gain inspiration from Vegetta777. Similar to what I mentioned above, he has edited his own photo in the icon to look like a video game character. As I have mentioned few times above, getting these two sections of your channel right is imperative to your success, take a look the top vloggers on youtube to see how many subscribers these guys have. You can spend days setting up your channel – describe your channel in the “About” section or rearrange the sections and videos – but a viewer will only see these two images and decide if he/she should consider watching your videos. Looking at a default image makes the viewer think that the creator is not serious about what he does, which can work against your quest. 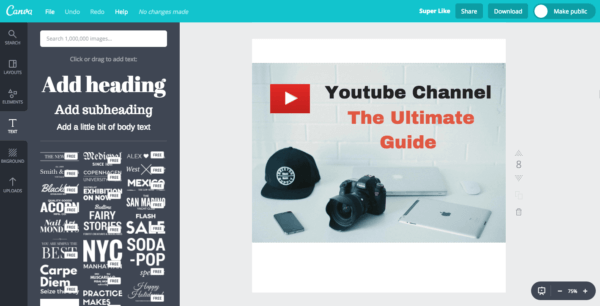 This next chapter is on how to upload a video to youtube highlighting size and formating considerations. If you still don’t have you videos ready and are looking for youtube video ideas see our page on ten famous youtube vloggers to see what genre and types of material made them famous.